When you buy your new diy plantation shutters from Shutterplus, you only need to pay 50% of your total when placing your order. It’s really easy to buy your custom-made mdf or basswood shutters online at fantastic prices! Posted by Hugo Clancy. 14 May 2016. Here at Shutterplus we’ve been busy designing new websites to make it as easy as possible for you to design & Buy your new shutters online. And save yourself lots of cash in the process! For diy shutters in the UK visit http://www.shutterplus.co.uk . In Ireland visit http://www.shutterplus.ie for your diy shutters . In The Netherlands, Belgium, Germany and France, go to http://www.shutterplus.eu for premium quality diy plantation shutters . We only sell premium quality plantation shutters at extremely competitive prices! Everyone here at Shutterplus would like to wish you and yours a very happy and peaceful Christmas. Thank you for your support during 2015 and we look forward to serving you in 2016 with all your diy plantation shutters requirements. Our flatpack shutters have proved extremely popular since we launched them last summer. And now in response to customer demand, we have made them available in a range of 8 different shades of white and off-white, ready for assembly and fitting. Made using FSC certified basswood material and available in as little as 10 working days. 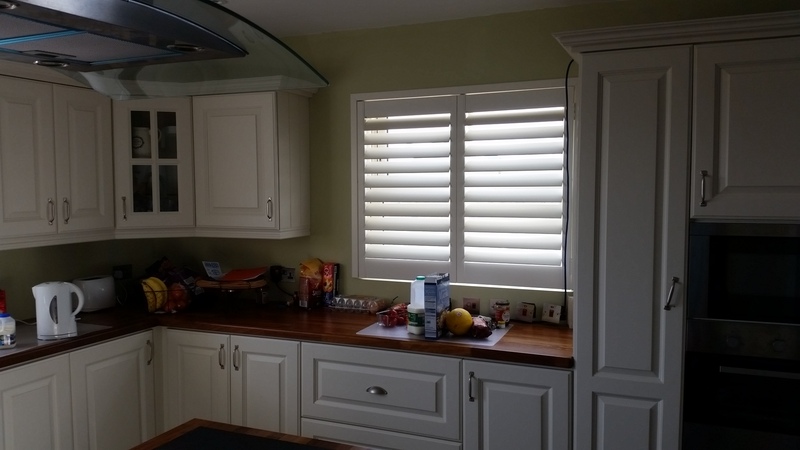 These shutters are the lowest cost DIY shutters available in the UK & Ireland. GUARANTEED! Flatpack Price: £149 primer finish; £171 painted finish. That’s just £109 per m2 primer finish and £125 per m2 painted finish. Everything pre-cut and machined, pre-hinged and ready for assembly and fitting. IN JUST 10-15 WORKING DAYS! Well 2015 is nearly upon us and of course it’s at this time of year when we make resolutions to get something done to start of the year on a good note. If you’re into DIY, why not resolve to take on a project that will add real value to your home, give you enormous satisfaction and can be achieved at minimal cost. Flat pack shutters, with all the components machined and ready for assembly and finishing. 7-10 day lead time. Build your own shutters, pre-primed components with your own detailed custom cutting list for the serious DIY’er! 3-5 day lead time. And remember all our shutters and components are made using FSC certified premium grade basswood. Whatever resolutions you make, have a very Happy New Year! Posted by Hugo Clancy. 30 December 2014.